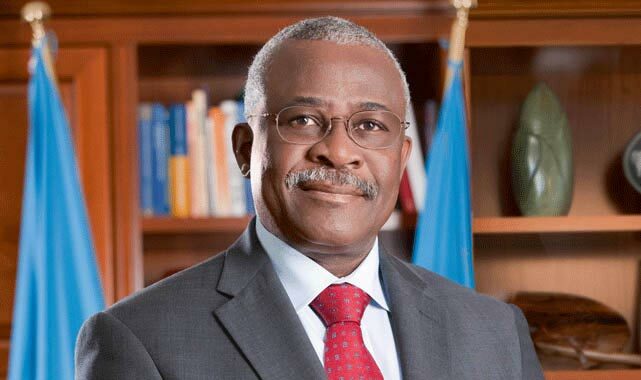 Next week, Dr Kanayo Nwanze, the President of the International Fund for Agricultural Development (IFAD) will be in Ibadan to set the ball rolling for the celebration of IITA’s 50 years of excellence in undertaking research for the nourishment of Africa. The opening event will take place on 19 October with the theme “Youth and Agripreneurship as an Engine of Growth for National Development”. Kwesi Atta-Krah, Chair, IITA@50 Committee said the celebration will promote the future of the new IITA. “The 50th anniversary, apart from being used to celebrate IITA’s past achievements and partnerships, will also be strongly focused on the future, and strategies for shaping the food and nutrition security agenda over the next 50 years. The celebrations will be commemorated throughout 2017 with a series of events at the headquarters and in all IITA hubs. Congratulations to the DG and all the staff of IITA on its 50th Anniversary. It has been an impressive journey of 50 years to encourage, enlighten and empower the African farmers to improve their productivity and profitability under very difficult conditions. I am very proud of IITA’s excellent accomlishments during these past 50 years. Still, more work is needed in the area of harvest, post-harvest management and processing, storage and value addition, as well as mechanization to improve food and nutrition security and to enhance farmers income. The food-water-sanitation-energy nexus must be given priority to improve the overall health and productivity of the African people. Again congratulations to you all at IITA on this special day.